If you thought the Law of Attraction was nothing more than a broken promise, you need to know the rest of the secret that "The Secret" didn't tell you about! While you may have had high hopes for what that movie hinted at, you will never realize them unless you know the whole story. For many, movie and book "The Secret" was their first introduction to the law of attraction and the possibilities it promised. But there is more to this law than many realize and without the additional information and its associated understanding, the law's potency is only a tiny fraction of what it can be. To fully grasp the true power of this physical law (and it is a physical law, make no mistake), a person needs to be aware of what governs it and all the outlying aspects that must be fully understood and acted upon to bring the results that are desired. 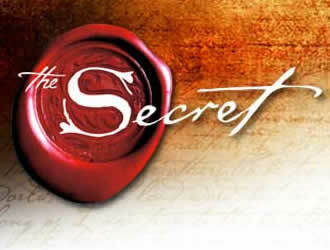 This article looks at the bigger picture and the secret that "The Secret" didn't let you in on! The Law of Attraction exists and is real. It is actually a secondary law, its primary being the Law of Vibration. We know that energy vibrates at a multitude of different frequencies depending on the nature of the energy and we also know that like frequencies attract like in the same way that radio waves of a certain frequency are attracted to a receiving station set to the exact same frequency. Thought is also an energy form that vibrates at different frequencies depending on the emotional and mental state of the person creating that thought. It therefore follows that like thoughts will attract to them other energy forms vibrating on exactly the same frequency. Yet as well as we are aware of the existence of electricity, we still don't know exactly what it is or how it is created. Likewise, we still don't understand thought energy in any great detail, although we are gradually peeling back the layers to reveal more of its properties. We do know up to a point that since thought energy will attract to it like energy forms (on the same vibration level), then it is possible to bring into one's life the things that are being thought about with continuous energy, intensity and desire. All this was explained pretty well in the book and movie. What was not really explained were the other factors that help to anchor this attractive force and create the right circumstances to bring the thing desired into form. Author Dr Raymond Holliwell did an excellent job of explaining these additional factors in his book, "Working with the Law - 11 Truth Principles for Successful Living." 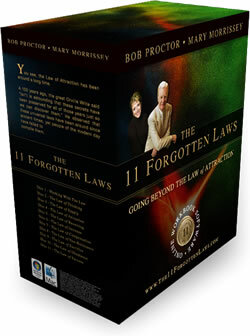 This book and its teachings were expanded upon and explained in an easy to digest way by Bob Proctor and Mary Morrissey in their training program entitled: "The 11 Forgotten Laws"
What the teachings boil down to are these eleven essential laws that were interpreted by a number of forward thinkers of our time and coalesced into a very real and understandable life manual by Dr Holliwell, then made accessible by all in Proctor and Morrissey's course. It may surprise you to learn that almost all of these so-called secrets were interpreted from the one place you'd least expect them to be. The Bible. Unfortunately, most people will not be able to make the connection since they are hampered by a lifetime of religious knowledge taught them since early childhood and would naturally view any non-religious interpreting of that holy tome as little short of blasphemous. Yet in order to grow as the spiritual beings in physical form that we are, we must be ready and able to break free of any and all shackles that might restrict our ability to learn, reason and understand information that will promote that growth. When you are able to set aside your own religious prejudices and objections, you will be free to dare to interpret what is written in the holy book in the same way that a handful of enlightened souls have done. One of the easiest ways of making a quantum leap forward in interpreting the teachings of Jesus is to simply replace the word "Lord" with the word "Law". Then re-read the stories and marvel at what they are teaching you about how to really live your life in the way God means you to! I accept that it will be very hard to make that leap in faith, but when you do a whole new world of possibilities will be open to you. What the law of life comes down to is to understand that what you sow you will reap. That is not to necessarily mean you must literally go and sow seeds in the ground and wait for the harvest, but it does parallel that concept. It means that whatever you are putting out in your life, you should expect to get it back in some way. Since thoughts are powerful energy forms, you should be careful to put out good ones if you want good to come into your life. If you're constantly putting out angry, resentful thoughts, that's the kind of life you're going to attract for yourself. You will attract plenty of negative angry people and situations that will give you cause to keep generating more resentful angry thoughts! On the other hand, if you only put out calm, happy and positive thoughts, you will attract lots of like situations and people into your life. From this you'll see the obvious connection to the way Jesus spent his whole life teaching and spreading his words. He wasn't teaching people to be subservient to their masters, downtrodden and poverty stricken. He was teaching them how to have the best lives they could possibly have if they followed what he was telling them! What Are These 11 Forgotten Laws? I would suggest you get hold of a copy of Dr Holliwell's book or better still, Bob Proctor and Mary Morrissey's program to get a full understanding of what they are. But to give you a brief introduction to them, I'll cover them here. This the first law that you need to get working with if the rest of them are to have any bearing on your life. Your thought governs everything about you from your personality, your health and emotional state to your lifestyle, personal and public relationships and your financial situation. So the act of true thinking is what causes all to occur in your life. When you can master your thoughts, you will have mastered your life! When you realize there is an unlimited supply of everything you will ever need, you can move forward in life freed from the restrictions of a limitation mindset. The Secret taught that everything is made up of a single element: energy, from a spark of electricity to a solid rock and that like energy attracts its likeness in terms of vibration frequency. When there is a demand for a certain thing, the supply is always at hand, which gives us this law of supply and demand. It just needs the consciousness to realize the need for a thing, or to create the demand and the supply will come into form. This is the law we seem to be most interested in from the perspective that it can bring into our lives the things we desire. However, it needs to be used correctly and only for good if we want good to be in our lives. If it is misused, the person who misuses it will only attract its equivalent to themselves because we cannot directly affect another by our own ability to attract. See my article on attractive thinking for more on this fascinating law. Giving is the first law of life and unless we are able to get into a giving mentality, we cannot be receptive to receiving the good we desire. Most people automatically think of giving their money, then bemoan their inability to give that commodity when they don't have much of it. But we all have something to give, whether it is a simple smile to a stranger, a happy deed, a friendly greeting or selflessly helping someone out of pure goodness without any thought of getting anything in return. This is true giving and when you can get into this place, you will receive much in return without even expecting it. We all want to experience an increase in life, whether it be growth in terms of happiness, achievement, financial stability, business success or whatever. To do this we need to keep an attitude of praise for the good things and never to criticise the bad. When we put ourselves into a place where we only look for the good things to praise, we automatically stop seeking out the bad things to criticise and the law of attraction keeps bringing us more good experiences for us to keep praising! We all want to be appropriately compensated for the things or the work we do. This law of compensation is working in our lives all the time whether we know it or not. When you work to be the best that you can be in your chosen field, you can become very difficult to replace and therefore your value is extremely high. The more you're worth, the higher you'll be paid! Why do you suppose shopkeepers have their doors always open (or automatic doors that open as you approach them)? It's certainly not to let the fresh air in! It is to simply make it as easy as possible for customers to come in and buy the goods on sale in the store. They are (often unconsciously) reducing the resistance in the path of their good (customers) by not putting up blocks in their way. When we learn to stop putting up a fight every time we are faced with a problem but instead drop our resistance to it, we will find most problems simply dissolve by themselves because we aren't giving them any of our energy. By using this law of non-resistance, we can enjoy a more harmonious and easier life by not being resistant to the good that is always seeking us. Learning to forgive ourselves as well as others for things that happened to us at some point in our lives is the quickest way to cleaning out our cupboards and freeing us to move forward in life and grow. Many people are stuck in a dark place because of past experiences in life that generated feelings of guilt and resentment. These emotions are highly damaging and must be released. The best way to do this is to forgive the people that have caused us harm and then to forgive ourselves for feeling that way. Once we can do that, we can move forward in life with a new found inner strength and power that is our birthright. Most people consider sacrifice as giving up something they like doing or having. But in truth, true sacrifice is giving up something of a lower nature to get something of a higher nature. So you see sacrifice is not so much losing something as it is gaining something better. It's more like trading up a car, by giving up the old one for a new one, or selling your home in order to buy a better one. You can move forward in your business or job by making small sacrifices in order to gain promotion or bigger and better deals. Leaning to be obedient to laws that govern your life is the fastest way to making greater forward leaps in every area of your life. A disciplined life does not necessarily mean it has to be hard and exacting, but self discipline is the way to greater things through right use of life laws. This law teaches us how to be obedient to the laws of life that we need to work with in order to grow and succeed in life. And finally we come to the end of the journey that is our eventual success in attaining what it is that we set out to attain. To get here, we needed to apply this law of success that works along the lines of this: If a person thinks and believes that they can do a thing, they will do it! It is all about the "I can" mindset. When you can get into the frame of mind that you absolutely believe that you can do a thing, then success is yours. You only have to look back in history to any great person that achieved anything of note. They all had one thing in common. They may not have known how they were going to realize their great achievement, but they just knew they were going to do it. The Law will work for you as long as you work with it and don't expect to simply sit back in an easy chair and expect the good top be placed in your lap. It is even possible to gain a law of attraction practitioner certification by studying a recognized tuition course and becoming proficient in the practice. I'm sure the majority of people who watched the movie The Secret thought its message was that all you had to do was imagine what you wanted and it would turn up at your door. That's a not entirely accurate or correct assessment of the law. However, unfortunately most people operate with the mindset that life owes them a living and they're going to collect anyway they can. That's why the top 2% of people earn around 96% of all the money that is earned in the world. It's only that top 2% that don't operate on that "easy money" mindset. True success on all levels (and it should be all aspects of life that you should strive to succeed in) is manifest when we adhere to and work with all these laws. I won't try and deceive you by telling you it will be easy to master them, because it won't! It will take a great deal of study, learning and understanding and then applying what you have learned every day. But if you really want to move forward and grow in all ways in your life, then making it your mission to learn and then work with these laws is absolutely the way to go. I highly recommend you get hold of Bob Proctor and Mary Morrissey's course and study it every day. You'll be amazed at what you will learn about the way the world really works and how you can become the person you always wanted to be.